Achievement UNLOCKED| Upvote Slider AvailablesteemCreated with Sketch. Well, this may sound like a silly achievement but, with my interest in curation and having a hard time getting the most out of 10 upvotes a day was a bit frustrating. After venturing into the BitConnect world this weekend and not using that money for Steem as I have the previous few weeks, I decided to take a very small lease of Steem Power out for a month and used the little SBD in my wallet to buy Steem and request a small lease that would push me over the 500 SP. I believe, that by the time the lease is over, I will have 500SP and be able to keep my beloved slider. 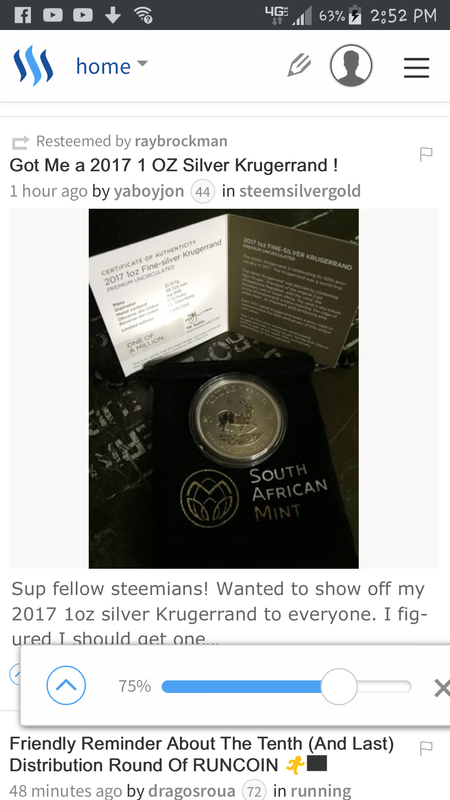 Although I would have to look and see the exact date of my account being created, I know steem.supply now shows my account as 2 months old and has for a day or 2 now. This is quite exciting for me as I feel like I have myself moving in the right direction again after stalling out for a week or so recently. I've always been pretty active in the comments and not one to post very frequently. After about a month and a half I can clearly see that I needed to post more so that people got to know me more and begin seeing me more frequently and consistently. This is key so that people are more likely to support my efforts and interact with me. As some of you may know, I have begun a 30 day challenge in which I want to post at least 1 post each day. I will be doing some of which thru my NBA contests but plan to write some things as they come to me as well. I really was hesitant to announce it on Steemit, as I feared I wouldn't be able to keep to it within the first few days but so far so good. Wish me luck guys, haha. Thanks for stopping by and checking out my recent achievements, I feel like only my Steemit family would appreciate some of these things. I gotta stop telling everyone I know about this place though. Some of the reluctant ones must think I'm crazy always going on about this place. Lmfao. On a serious note, please feel free to comment and let me know if you remember when you first got your slider? Was it a big deal for you? Anyone of the OGs wanna enlighten us with some history of the slider if it's evolved any? Congrats @sixersfeds . Slider is pretty cool. I'm loving it honestly :) Thanks for the support Ray! I was hoping you saw, haha. You'll get there for sure! Very nice my friend! Congrats to you as well! This post has received a 23.05 % upvote from @nettybot thanks to: @sixersfeds. This post has received a 18.75 % upvote from @lovejuice thanks to: @sixersfeds. They love you, so does Aggroed. Please be sure to vote for Witnesses at https://steemit.com/~witnesses.